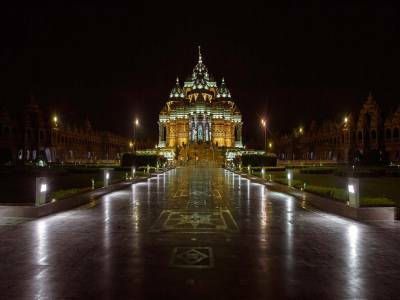 The Swami Narayan Akshardham is a Hindu religious and spiritual temple complex housing shrines dedicated in tribute to Pramukh Swami, the head of the BAPS Swaminarayan Sanstha, his life and his teachings. 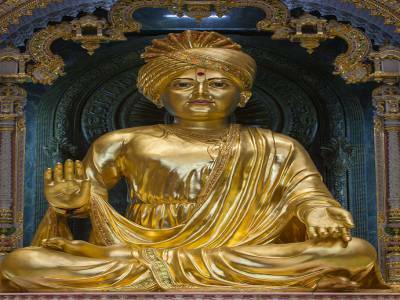 The Swami Narayan Akshardham is worshipped by people and revered as a form of God himself. In accordance with the Swami Narayan's principles and teachings, the main temple complex has been classified as the Swaminarayan Akshardham Complex with reference to main Akshardham temple within the complex. It is believed in the Hindu mythology and by the followers of Swaminarayan that after attaining liberation or moksha all souls reside in Akshardham temple. Swaminarayan Akshardham Temple was built in five years and the colossal devotional efforts of 11,000 artisans and thousands of BAPS volunteers. 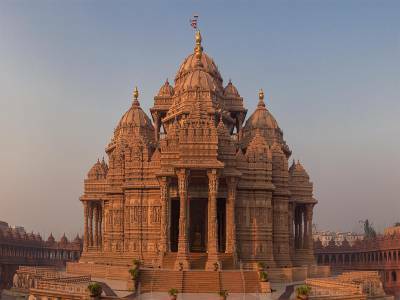 The Swaminarayan Akshardham Temple is declared the Guinness World Record as the World's Largest Comprehensive Hindu Temple and temple complex was inaugurated on 6 November, 2005 (Constructed between from 2000 to 2005). Swaminarayan Akshardham one of the "Must Visit" places in Delhi. It is one among the top 5 tourist spots of Delhi. 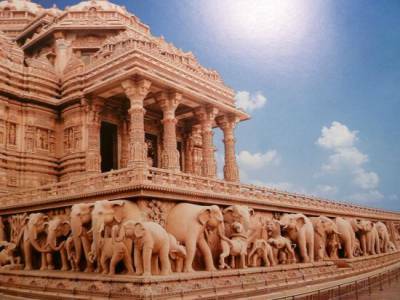 Attractions within the Akshardham Temple includes Sahaj Anand water show, Abhisheka Mandap, the thematic garden and three exhibitions namely Sahajanand Darshan (Hall of Values), Sanskruti Darshan (cultural boat ride) and Neelkanth Darshan (an IMAX film on the early life of Swaminarayan as the teenage yogi, Neelkanth). 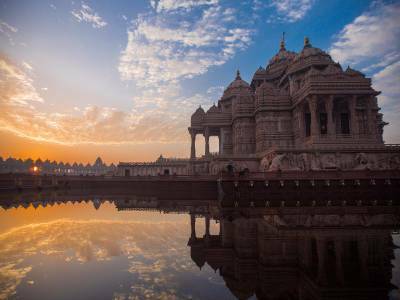 Get quick answers from travelers who visit to Akshardham Temple, Delhi.